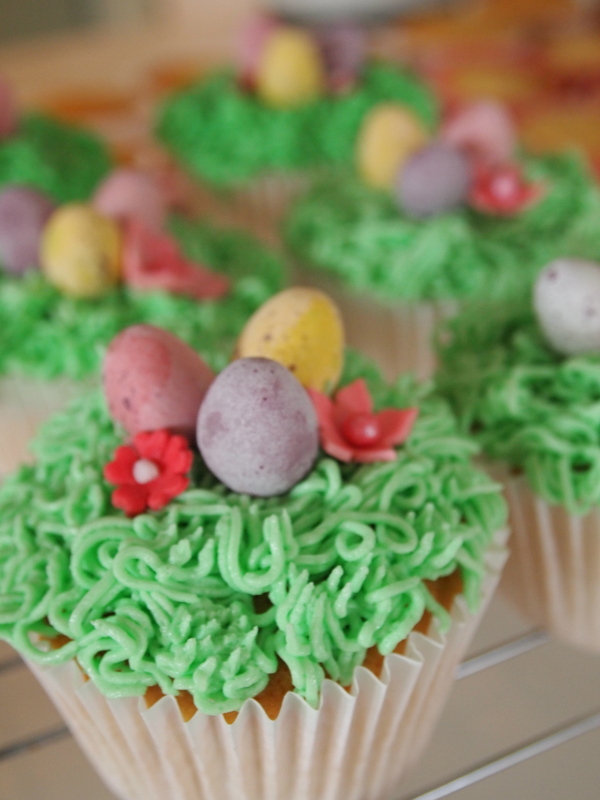 Say Happy Easter with Cupcakes! 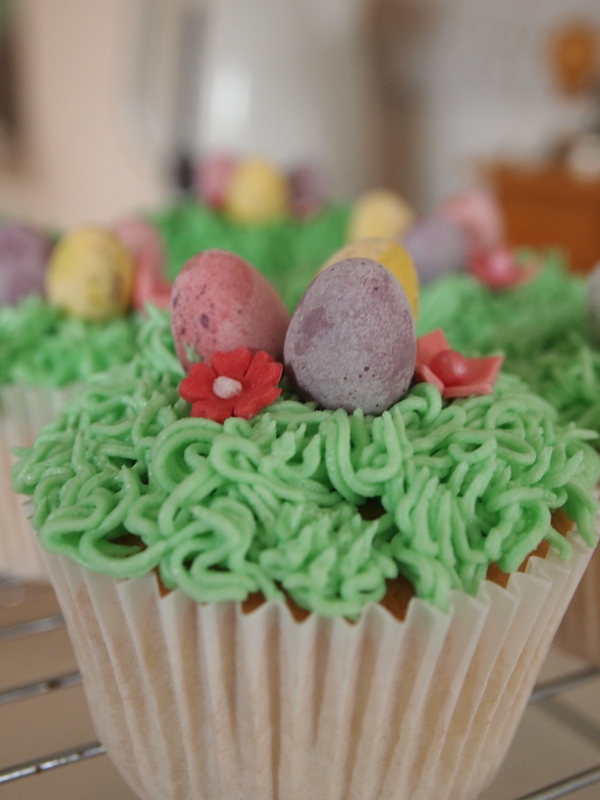 Easter is a time of indulgence with lots of foods involving the word chocolate, in fact, who am I kidding? not so much lots of foods but more lots of chocolate! 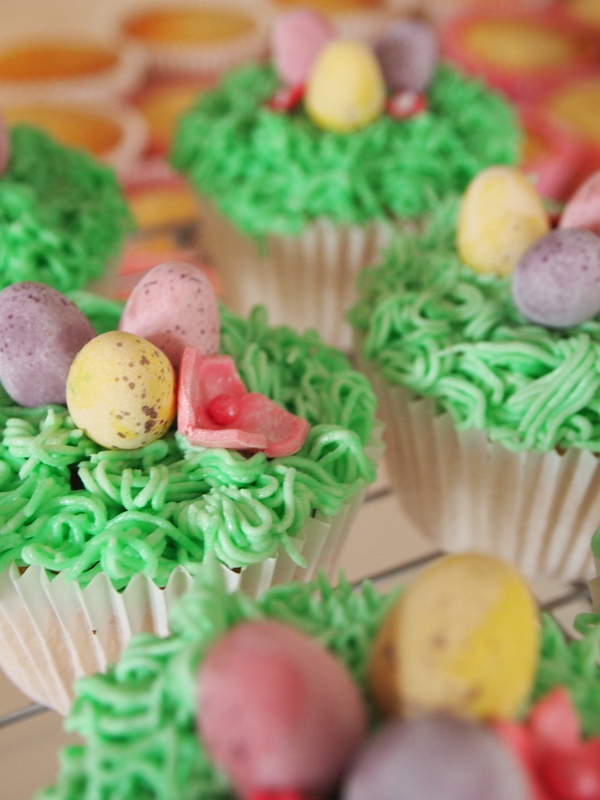 These Easter cupcakes are a little something different – a simple vanilla sponge that is light and delicious with a vanilla buttercream coloured and piped to look like grass, then finished with chocolate mini eggs (tradition is tradition) and beautiful little spring flowers.